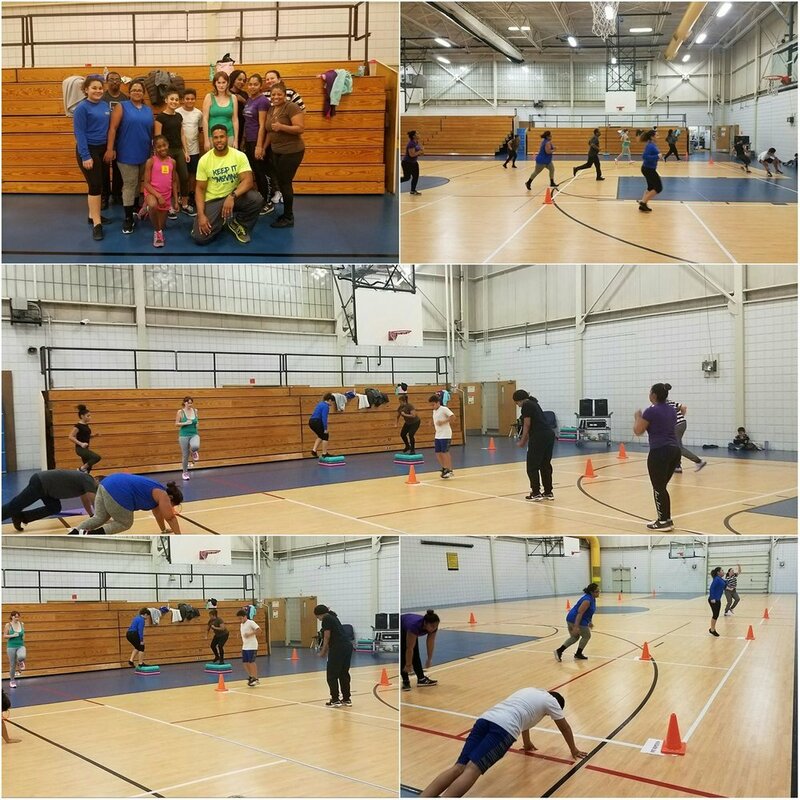 Hopewell residents participating in the Sports Backers’ Fitness Warriors program, a free fitness instructor training program. 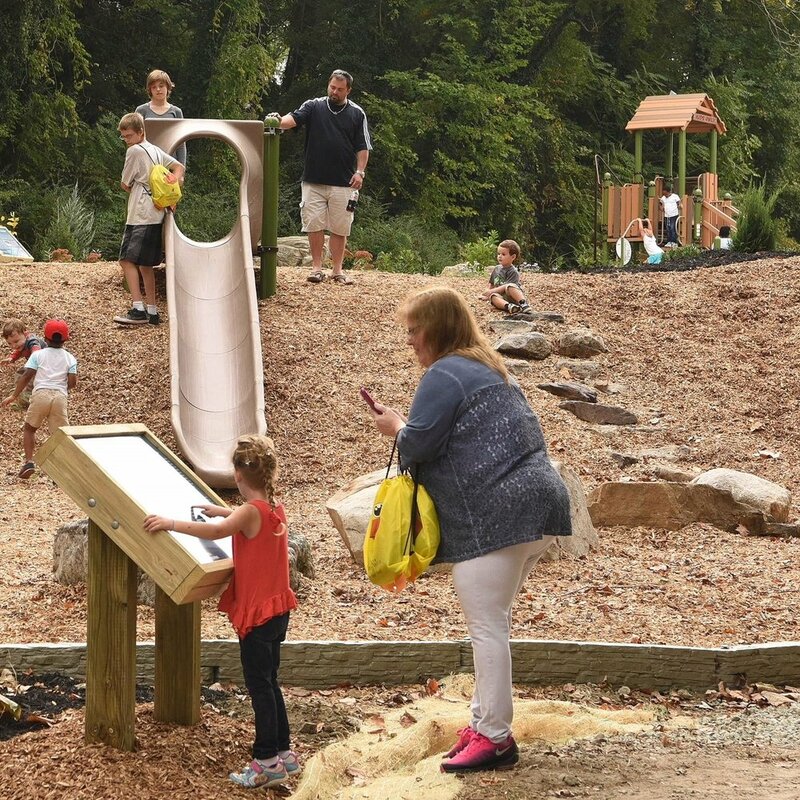 The renovated parks are part of the City's initiative to improve residents access to recreational equipment. In October 2018, the HEAL Campaign awarded Hopewell Platinum level recognition. The City received this recognition after achieving Gold status in 2017 for their achievements accomplishing their resolution goals in three priority areas: Promote physical activity through improvements in the physical environment; Promote access to healthy food in under resourced areas; and increase physical activity opportunities throughout the City. The goals were accomplished through City-wide programs and activities to get Hopewell residents eating better and moving more. This included a City Park Nature Program park renovation project to highlight the city’s outdoor amenities and redesign the water front area. With the support of a charitable donation from the American Water and Charitable Foundation, the community took an interdepartmental and community-based approach to implement this project and stretch their limited funding. Through this program the City has moved forward with additional park renovation projects to improve existing parks and increase their usage. Efforts to increase healthy food access were spurred through a partnership with the Hopewell Girl Scout Troop. With the troop's help, the City established a community garden that donates fresh food to the Hopewell Food Pantry. The Fitness Warriors program, a program offered through a successful partnership with Richmond Sports Backers, is working to increase opportunities for residents to be physically active. The program offers free fitness instructor training programs to the community with the understanding that instructors will adopt a "pay it forward" approach by offering their own free classes in under resourced areas in the community. Hopewell’s Platinum status acknowledges the City’s achievements to both pass and implement policies and programs as well as their efforts to integrate HEAL across government departments. Lead by the Department of Recreation and Parks, Hopewell’s HEAL Campaign is supported by the Department of Public Works, Department of Planning and Development, Department of Engineering, and the City Manager's Office. The City has engaged staff throughout City departments through a newly completed Comprehensive Plan that includes a section on community health and outlines strategies towards accomplishing HEAL strategy areas. The plan has inspired the establishment of new outdoor fitness spaces and spurred discussions around Complete Streets. In addition, through support from the Departments of Recreation and Parks, Planning and Development, and Engineering, the City is developing the Hopewell Riverwalk project, an initiative to develop a recreational area along the Appomattox River waterfront. Many of these initiatives are monitored and evaluated through surveys, citizen discussions, public meetings, program participation, and quantitative analysis. This has enabled the City to continue to guide new projects and initiatives through community and staff feedback.